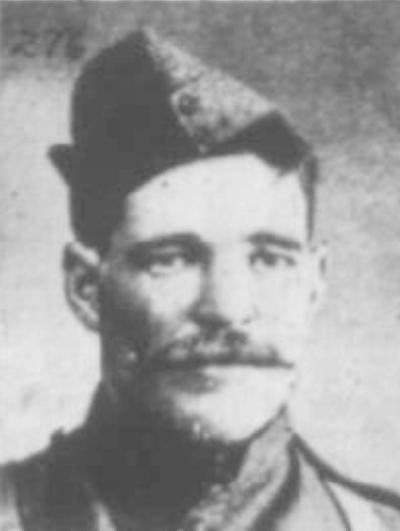 Thomas Neville Gunter served twice in South Africa. Thomas Neville Gunter was born in 1874 and named Robert Thomas Gunter. His place of birth is recorded as being in the Scone District of NSW. The reasons for the name change are unknown. His birth is registered twice, once as Robert Thomas Gunter and also as Robert Thomas Cundy (his mother’s maiden name was Mary Jane Cundy). There are doubts as to the paternity of Gunter. His mother, who had married Henry James Gunter in 1865 later married Samuel Dunbar and lived in the Tamworth region. When young Robert Thomas enlisted in the NSW Citizen's Bushmans Contingent, he used the name Thomas Neville Gunter. His next-of-kin was given as Mrs S Dunbar at Glenrock, a hamlet near Nundle, NSW, she being his mother, Mrs Samuel Dunbar. Robert Thomas (alias Thomas Neville) had a brother, John Cornelius Gunter who also served in the Boer War with the NSWIB. John Cornelius was the son of Henry James and Mary Jane Gunter. born at Scone in 1875. He was a shearer by trade and later lived near Nundle. Gunter enlisted in the New South Wales Citizens Bushmen's Contingent in 1900. He was allotted to "D" Squadron and allocated the regimental number of "427", and served as 427 Trooper Thomas Neville Gunter. After his first tour, Gunter re-enlisted in the 1st Battalion, Australian Commonwealth Horse (New South Wales). Gunter was allotted to "A" Company. 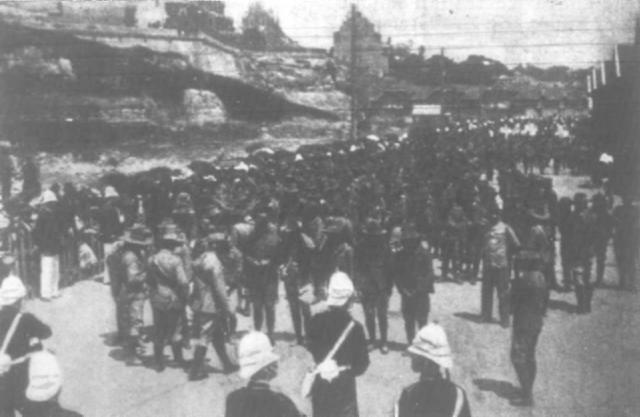 The departure of the 1st Battalion, Australian Commonwealth Horse (New South Wales) at Woolloomooloo Wharf, 19 February 1902. Sydney Mail, 1 March 1902, p. 537. Gunter was awarded the Queen's South African Medal with two bars, South Africa 1901 and 1902. After the war, Gunter went to New Zealand where it looks like he might have worked on the road from Wellington to Masterton. In 1910 Gunter married Kate Rubina Wiltshire at Hastings, north of Wellington in New Zealand. Gunter moved to Wellington sometime in 1915. Here, the Gunters raised their six children. Gunter died at Wellington in 1944. Acknowledgement: Many thanks to Brian Gunter for providing the additional information about his grandfather and the permission to publish that information on the Australian Light Horse Studies Centre blog.